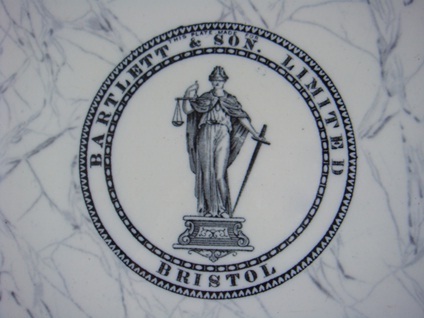 My father Bernie’s most treasured belonging is a set of Butchers Scales made in Bristol, England by J Bartlett and Son, circa 1880. They were a fixture in the Gear Meat Companies’ Lambton Quay store for many many years. To say he loves them is an understatement. Along with the photo albums, I think they are his “save in a fire” object. Maybe it’s the gilding, the Wedgewood plate, the cold brass weights you use on it or simply its utilitarian nature but they are quite striking. I think for Dad they seem to embody the beautiful sepia of his childhood and have true sentimental value because they belonged to his Father. Dad grew up in a large Irish Catholic family the tight knit community of Waiwhetu/Petone, during the heyday of New Zealand’s industrial and socio political growth. Think boiling in a copper, aprons at the gate, health camps, booming wool prices, Sunday mass, Workingmen’s clubs, brimmed hats and knitted vests, the Waterfront Dispute and six o’clock swill. His father, Bill, otherwise known as Pop, was with Gear Meat for 50 years, he retired in the early 70’s after many years as the Personnel Manager. 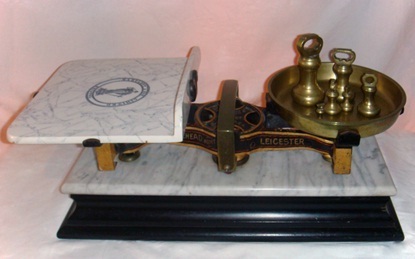 The scales were gifted to Pop, by the last of James Gear’s original butchers in the Lambton Quay shop after it closed. Pop is a bit of a family legend, he was heavily involved in the union and the labour movements of the time and like many in the area knew all the areas movers, shakers and no doubt some fairly ‘interesting’ characters. He was a truly atrocious flirt and a good bloke. Pop knew everyone by name and apparently never really had to buy a beer at the Bellview unless he lost at Hokitika Swindle. 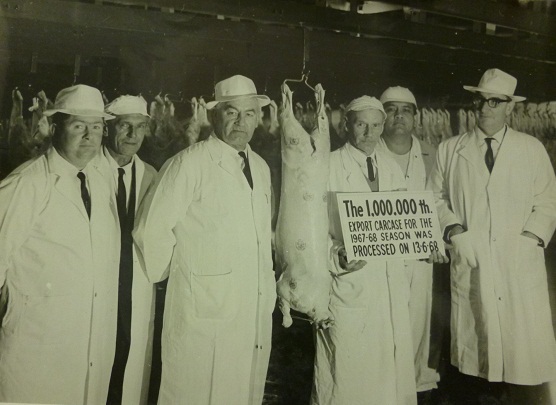 Gear Meat Company Foremen celebrating the 1,000,000th Export Carcase for the 1966-68 Season. Photographer unknown, Collection of the Petone Settlers Museum. Sarah’s Pop stands second from the left. The scales have sat pride of place in my parents’ home as long as I can remember. Their true origin is a mystery but anecdotal evidence (“my Dad says”) the scales were purchased second hand by Mr James Gear on a purchasing trip to the United Kingdom in the early twentieth century. They were used in the Lambton Quay shop until superseded by new technology, then were proudly displayed and cared for by the staff. One day he will research the London City Guild serial number that is elegantly painted on the side and find out more, but he likes the mystery. Bernie knows they are worth something in a financial sense, but when he starts waxing lyrical about the scales to whomever will listen; it is obvious they are far more valuable to him as a reliquary for memory, the pride he has in his family and what a gift it was to have grown up when and where he did. 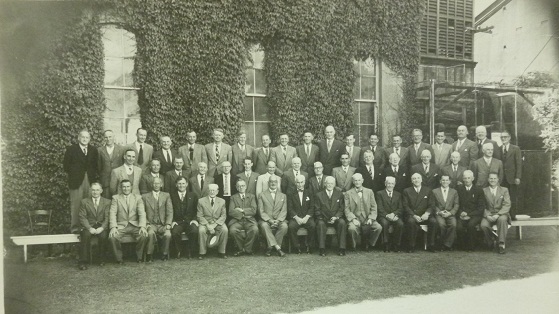 Gear Meat Company Management in 1956. Photographer unknown, Collection of the Petone Settlers Museum. Sarah’s Pop stands back row, 8th from the left. I am sure every family has an object or treasure that tells a story. Do you have one that holds a story about Petone? This entry was posted in PSM and tagged Family History, Gear Meat Company. Bookmark the permalink.